Meet up LIVE with other ministers from across the nation as we tighten the screws of gospel advancement in our youth ministries. Sometimes we think the changes that are needed in our ministries have to be drastic. The truth is that most ministries I’m in contact with just need subtle adjustments to see major effectiveness. 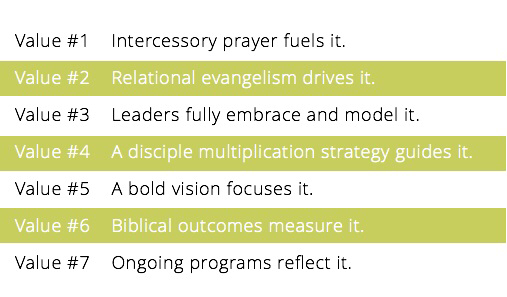 7 gospel advancing values that were consistent with the early church. ​My goal is to focus on 1 of 7 important gospel advancing values and discuss 2 to 3 ways that youth ministries in the nation are killing it. From there you’ll choose the one you believe your ministry can start in the next two weeks and you’ll build a gospel advancing strategy to put into action. By having this in a zoom video conferencing call fashion you can bring in all of your workers together, breakout into rooms to build your strategy together and save time from having to re-explain it later. If you’re interested, sign up to receive notifications on when the next meet up is beginning.